Darth_Savage Thanks for giving this so much attention! I'll definitely put some of these in. Let me go through these here. Brain Maggot - I like the suggestion to have enchantment creatures and I will definitely add one of the ones you suggested. Not sure if I can completely let go of my Fountain of Renewal though because it's an easy trigger for the infinite combo. Semblance Anvil - Good catch on enchantment and creature discounts. Combined with Crypt Ghast this stuff is gonna get pretty cheap. Adding it. Brainspoil - This is certainly better, but not for the reasons you mentioned. I don't think I would ever manage to use it as a kill spell unless Crypt Ghast were out. 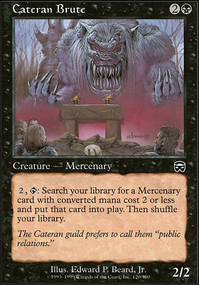 What makes it better is that fact that Beseech the Queen requires you to get a card with a CMC less than or equal too the amount of lands you have, meaning I could tutor till turn 5 at the earliest. This can be used much earlier. And you're right, I really only meant this to tutor for the game enders. Noxious Revival - You're a hero for finding this. I can fix my freaking mana finally. Thanks for all this it really helped my situation. Can't wait to try it all out. 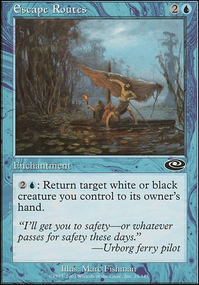 4x Fountain of Renewal > 4x Brain Maggot, it has a useful effect, but more importantly it's type Enchantment Creature which means if you feed it to Semblance Anvil your creature and your enchantments are reduced in price by , note that it won't ever reduce the cost by more than 2, well unless you have multiple Anvils in play. 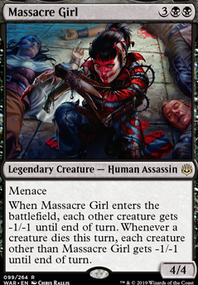 4x Hissing Miasma > Semblance Anvil, Hissing doesn't do enough and it costs 3 mana, swap it out for Anvil and enjoy the cost reduction. 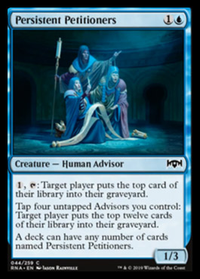 4x Beseech the Queen > Brainspoil both of these tutors are limited, but the only thing you want to tutor for are the game ending enchantments. In a push Brainspoil is also a removal spell, of my suggestions this is the one I'm least sure of, but I think you should test it. 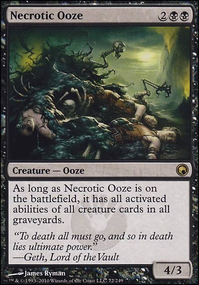 4x Tragic Poet > Noxious Revival, just pay the 2 life, you would pay the same amount for Godless Shrine so why not stay mono black. PooperDix: Normally Unearth would be the option, but here Raise Dead's purpose is to bring back Midnight Scavengers, which does fall outside of Unearth's conditions. I only have four of Scavengers, so once I get one, it might be the only one I see during the game. Thus Raise Dead, which can bring it back. I have updated the deck a bit, but the description has yet to follow. I have put Baleful Strix in for more flicker shenanigans. Lim-Dul's Vault, Brainspoil and Fabricate for more tutors. Vodalian Illusionist for another phasing enabler. I can see that Brainspoil might not be a suit. I wanted to add this mainly because it's the 3rd common transmute spell that could fit somehow if your curve was different. 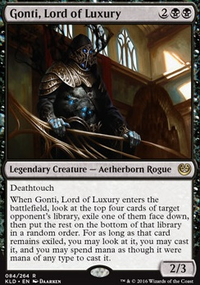 Dimir House Guard and Shred Memory seem to have a place in the deck, but I don't think Brainspoil would fit as the casting cost is too high for the Transmute ).